Wearing contacts gives you great freedom over glasses, but for many, the struggle and frustration of learning how to insert and remove contact lenses is too much. Here’s your expert guide to worry-free contact wear, complete with troubleshooting for common contact-wearing problems. If a contact disappears, it may have fallen onto the floor to be lost forever, but, in some cases, it could still be stuck under your eye. You may feel a prick under your eyelid after a contact has disappeared because the contact has likely folded or otherwise moved out of place on the eyeball. If you can’t see it, don’t try to lift your lid up enough to grab it because you’ll hurt yourself. Instead, close your eye and look down as far as you can, and then, while still looking down, gently pull the lid up slowly. This dislodges the lens so that you can easily remove it. If this doesn’t work, please contact Dr. Stein for an appointment and he will assist you. It’s not advisable to sleep in your contacts, but some contacts are designed for 24-hour wear, making sleeping in them less risky. When you first wake up, your eye may be dry, and the contact may have temporarily adhered to the cornea. 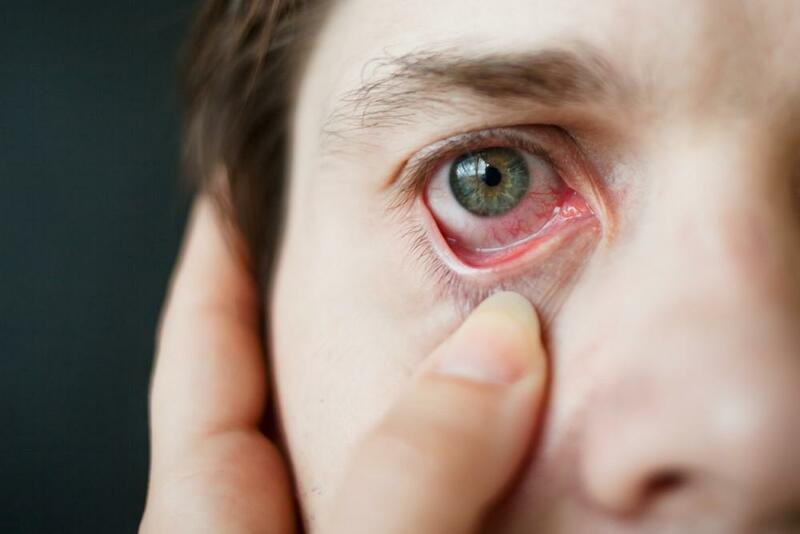 Trying to remove it in this state may damage your cornea, so make sure your eye is sufficiently lubricated with eyedrops before removing the contact. The trick is to gently hold the contact on the eye for about 1 second and then very slowly move the eyeball back and forth slightly. This helps the fluids on your cornea pick up the contact from your finger. Without blinking, move the eyeball slowly down and then around to secure the lens in the eye. Now you can blink, and the lens should stay in place. With practice, this takes fewer than 2 seconds to do. As a contact wearer, you should always be prepared. Carry a travel-size bottle of saline in your backpack, satchel or purse. Keep a contact case with you at all times. If the contact falls out, don’t attempt to re-insert it immediately. Instead, put some fresh saline into your case, place the contact in there, and then get to the nearest restroom to thoroughly wash your hands and the contact before reinserting. Never rinse contacts with tap water even in an emergency! Well water and even some city water may have microbes and parasites you do not want in your eyes. Wash and dry your hands on a clean towel. Remove the contact from its case with your thumb and index finger and place it on the index finger. If the contact is not a bowl shape, turn it the other way. Use your other hand to slowly lift your eyelid. Look up and slowly place the lens on the eye, giving it 1 second to suction to your eye fluids. Once you feel it attached, blink slowly to strengthen its bond in the right position. Dump any solution left in your case into the sink and allow the case to dry completely. 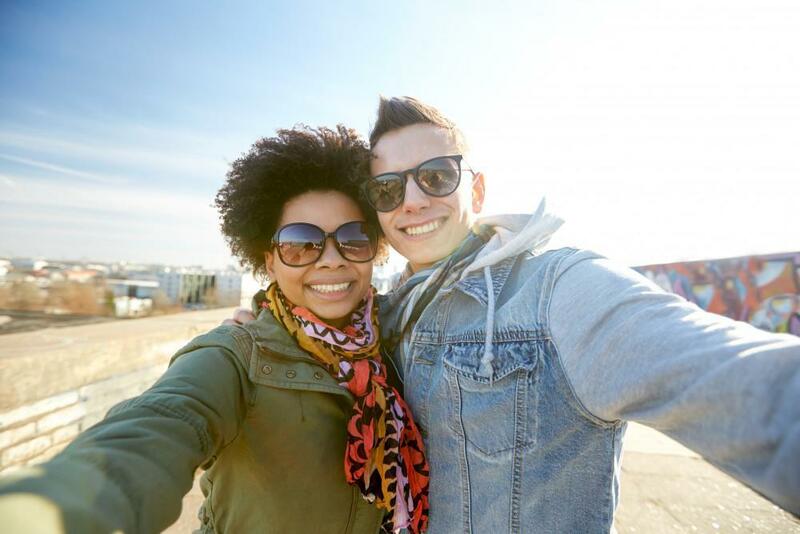 A CDC study found that as many as 55 percent of contact wearers don’t use new solution every time, which is scary given the number of dangerous eye infections you can contract with poor contact hygiene. Prepare your case with new solution. Pull your eyelid up with one hand. Gently slide the contact onto the white of your eye. Grab the contact with a thumb and index finger. Place the contact carefully in the case and close the case. Be patient with yourself. The main reason people struggle is they see how quickly others can insert and remove contacts, but the people who do it quickly have been wearing contacts for at least a couple of weeks. Give yourself a little extra time in the morning to get the hang of it, and soon, you’ll be as fast and flawless as they are. Are you ready to see more clearly? Book online today.